What are the characteristics of an authentic teacher? In their outward behaviour, they should be moderate and disciplined. They should never entice their students into harmful behaviour or endanger their future development. Through their words and deeds, they should inspire others to more and more extensive ethical behaviour, doing wholesome deeds and avoiding unwholesome deeds. They should have walked the path of Dharma to its completion and through untiring practice have attained all realisations. Their mind should be free of self-interest and filled with boundless loving-kindness and compassion for all beings. Another mark of an authentic master is a complete absence of pride. They have no self-centred or worldly interests, but only desire to bring all beings to spiritual maturity and enable them to free themselves from their conditioning and the resulting suffering. Who is a suitable student? A suitable student should have much loving-kindness and compassion and practice the Dharma with the intention of realising buddhahood for the benefit of all beings. Their ego-centred tendencies should gradually decrease because they are practice a selfless attitude of mind. Trust in and devotion to the Three Jewels and, in particular, should grow in them and their pride and self-will should abate. The student should have a balanced mind, should not be thrown by either praise or blame and should maintain equanimity under all circumstances, not allowing changing events to disturb their equilibrium. Gendun Rinpoche Heart Advice from a Mahamudra Master. Karma Lodro Senge wrote: I have met countless teachers and Rinpoches. From HH Dalai Lama and HH 17th Karmapa to you name it. But I NEVER experienced what I felt like the time I first met and sat in front of Thrangu Rinpoche (my root guru). Even before either of us said a single word, I knew right then that he would be my root guru. He is also the one that ordained me. Is it necessary to practice the spiritual practice only under proper guidance by a teacher, or can we start on our own if we have faith in what we do? If the beginning of all knowledge is to know yourself and we have all the answers within ourselves, why is it so important to have a spiritual teacher? We all have innate, unborn qualities. That is not to say that, in a Buddhist sense, we are already enlightened, but the seed of the potential is already planted inside each and every one of us. It is inherently present. For this, we may need proper guidance. And then of course, there comes many questions such as ‘how to find an authentic guide?’ and ‘how do we know that that is the right path?’, and so on. But for that I think it is important to focus on the basic qualities of the teachers or guides, and also use our own basic qualities to assess with a good degree of clarity, i.e. without emotion. So, whether Theravada teacher or Mahayana teacher, there are certain standards or certain basic qualities that he or she should require in order to guide. 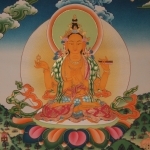 Under the Dzogchen view, does a guru know / perceive himself when he/she gives direct introduction to a student? Hence, does the guru know who his students are? And how many? Could you rephrase that? I'm not sure what you're asking. Does the guru perceive himself or others while giving D.I ? This probably depends on how stable the clarity or clairvoyance of the Guru is and whether it counts as useful information in the first place. If the students are in the physical presence of the master or make verbal contact with them, they will know those students in that way. If the guru has clarity, they will also know which students are making mental contact and progress with him/herself and the teachings. In Dzogchen, a root guru is the person who introduces one to one's primordial state in an unmistakable way. Or one can go even deeper and state that the state of vidya is the guru, and all gurus are included within this state of vidya. These external activities between gurus and students are not more than a form of ritual that is followed by the traditions that is based on ritualistic performance and skillful means. The essence of guru-student structure is having a guru to guide the student personally, here the guru knows everything about the student, and so know exactly how to guide him directly, the student's understanding of the meaning is solely due to the teacher's guidance. However, in modern times this is not usually the case, especially due to the fact the the gurus are dealing with the masses of students, not dealing with them individually, so when a student realized the meaning, it is usually based on their own studies. The transmission, empowerment and so on, are merely a form of ritual, these are not the cause of the student's realization of the meaning. The student can say he read the book of certain writer and attained realization of the meaning, so the writer is considered his root guru, but actually this is not the case, the student is responsible for his own realization, not the writer. Under the Dzogchen view, does a guru know / perceive himself when a student is being introduced to his/her own primordial state? I would first call in to question the authority and/or nuances of Jyoti's comment before forming your premise. Jyoti wrote: The transmission, empowerment and so on, are merely a form of ritual, these are not the cause of the student's realization of the meaning. The student can say he read the book of certain writer and attained realization of the meaning, so the writer is considered his root guru, but actually this is not the case, the student is responsible for his own realization, not the writer. I however cannot find a response to my question. Me feeling introduced into the nature's mind doesn't automatically mean the guru registers? It really depends on the masters' realization, the students (and the number of them) and any other relevant circumstances. Not all masters have the same capacity . Maybe some masters know when 1000s have took it there and then, maybe some don't. Maybe they find out at a later time if the master looks or asks and if it's knowledge that will be of benefit the student, transmission and so on. Why is this question important for you in the first place? Do you think the master is less qualified if they can't directly see all who received the D.i there and then? Last edited by Vasana on Thu Mar 22, 2018 4:44 pm, edited 2 times in total. If you are alone with him, then yes, if in a big group I think not. But I am not a master that give direct introduction so perhaps you should direct your question to an actual master. But this question doesn't make sense in English language. Are you asking whether the guru is aware of himself? What do you mean by "the guru registers"? The use of "register" in this way is not correct and is not clear. Register is a transitive verb (usually) so it has to take register something. Was meinen Sie genau mit dem Wort "registers" in diesem Kontext? What do you mean by the word "registers" here? heart wrote: If you are alone with him, then yes, if in a big group I think not. But I am not a master that give direct introduction so perhaps you should direct your question to an actual master. AH! Does the guru know if *you* yourself got the introduction or not? It depends. Presumptions only would produce other projections. florin wrote: Are you asking whether the guru is aware of himself? Does the guru know when the student is being introduced? And yes, I was not having a 1:1 rather a 1:x situation in mind. Kirt wrote: What do you mean by "the guru registers"? The use of "register" in this way is not correct and is not clear. Register is a transitive verb (usually) so it has to take register something. That "to register" it is being used transitively usually is new to me but hopefully I don't stop learning soon. I don't know. I mean is not easy to know a guru's capacity. It is certainly not entirely impossible for a guru to know immediately who of the thousands of people he just introduced, had discovered their real state. But this is speculation. In order to know for sure you would have to ask the guru himself. In many cases, yes, 1:1. But not always, even from some the the highest gurus alive today and recently. I agree. But I think that if the student recognizes, that is the important and crucial point. A quality of Recognition is "confidence." But that "confidence" doesn't mean one cannot confirm with the guru. That is actually an appropriate thing to do, though admittedly not always an easy thing to do. 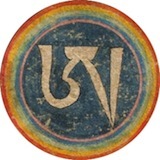 When Nyoshul Khen Rinpoche was once asked to give pointing-out instruction to a group of many thousand people, he simply laughed of the absurdity, because nondual mind needs to be authenticated by the teacher and he knew that he couldn’t check thousands of people. When someone is being told, without being checked, “you have now received the pointing-out introduction,” it’s at best wishful thinking and, at worst, a direct lie. The process of validation can be short or long, but it requires a competent master who knows you and listens to you while you reply specific questions, not from hearsay or book learning, but from present experience and not from a memory of a peak experience in the past. Then there can be certainty and this certainty can be put to the test next time you get angry, attached, proud, jealous or close-minded. If you are able to step out of that toxic emotion in an instant and stay in nondual mind, then it’s for real. Yes, he knows because he also check your experience.